Jobs with TN Track Services, Inc. There's a Place for You at TN Track Services, Inc. 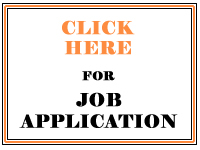 Please forward your application via regular mail or email to our Main Office in Lacon, IL. Please refer to the "Contact" tab for specific addresses. Interested parties should have a great work ethic, reliable transportation, be dependable, and in good physical shape to perform the hard work. The job requires steel toe boots and weather appropriate attire. You must have a valid driver's license, clean background and pass a drug test.